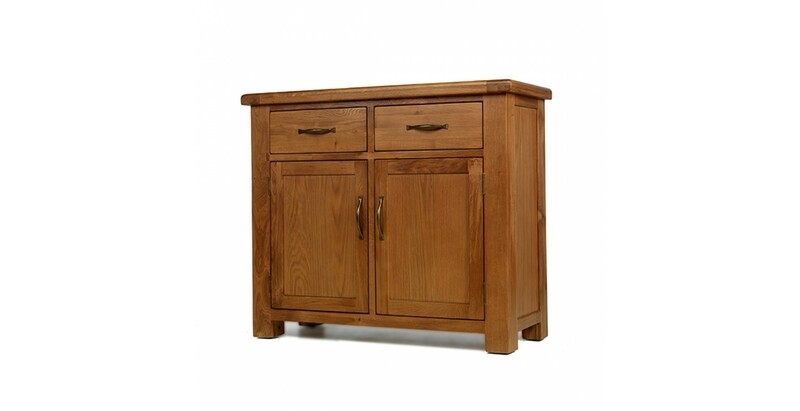 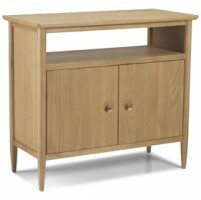 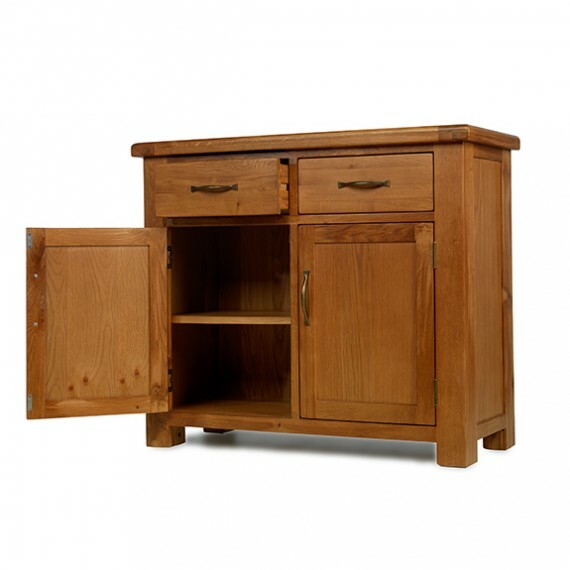 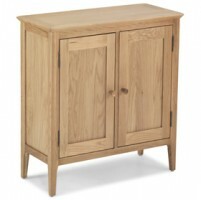 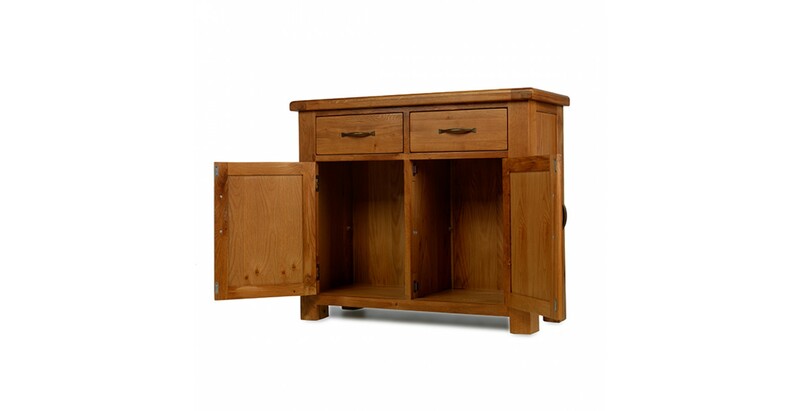 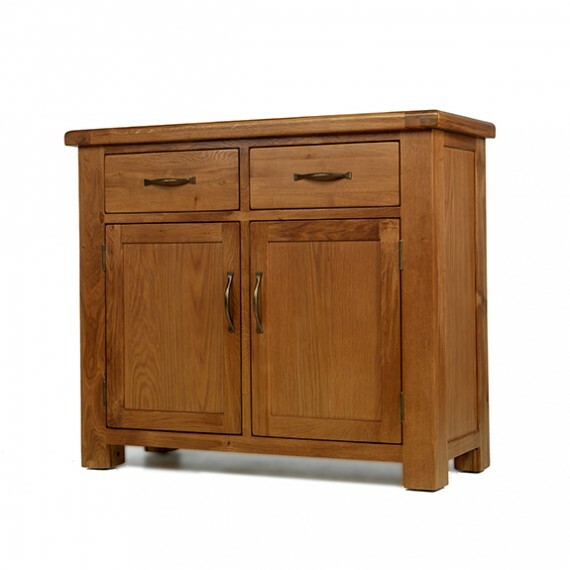 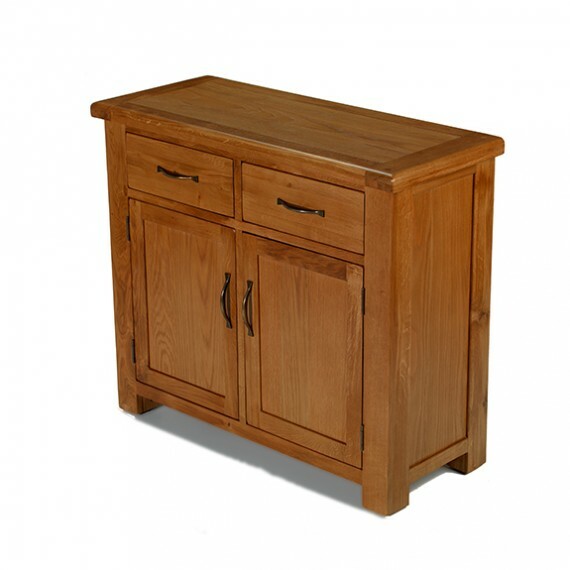 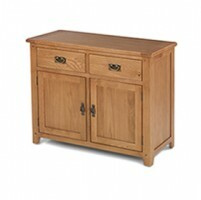 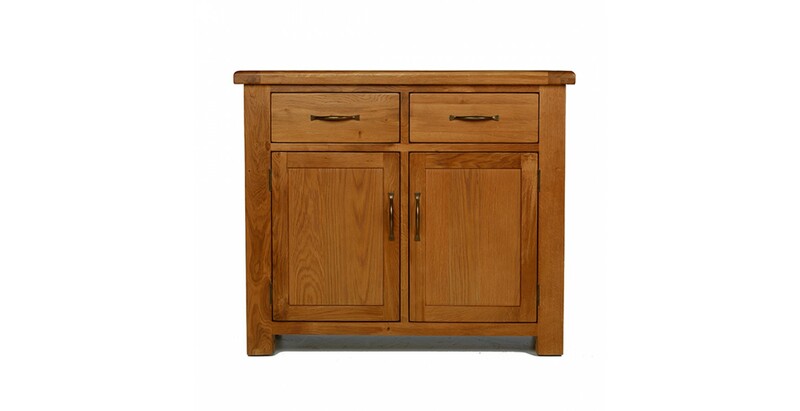 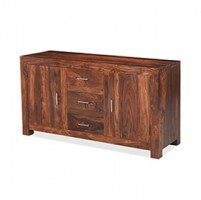 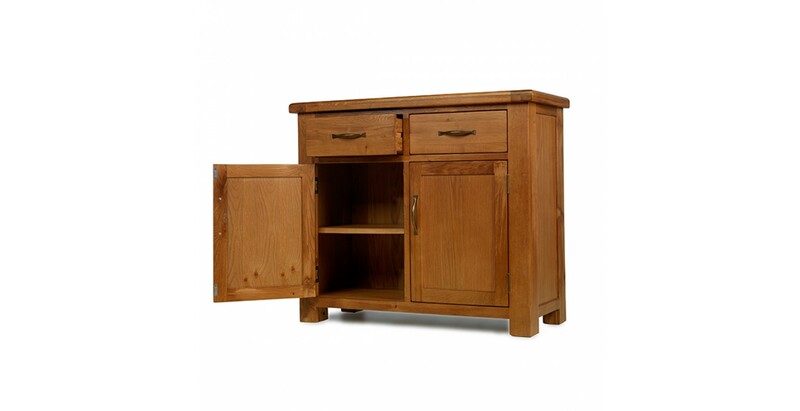 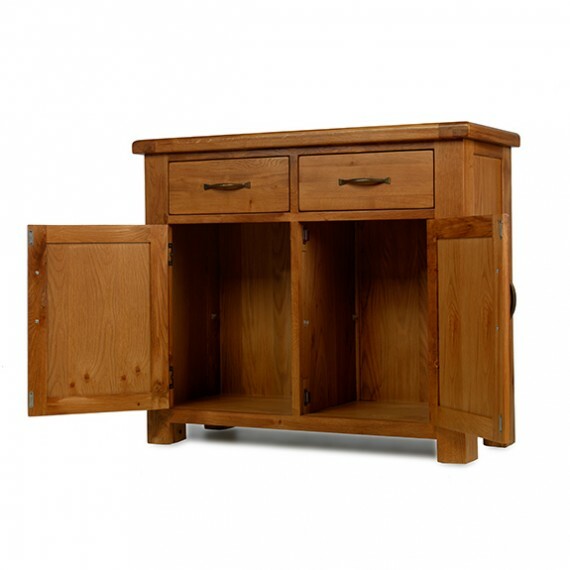 With its clean, elegant lines and attractive rustic appearance, this lovely oak sideboard gives you the best of both worlds. 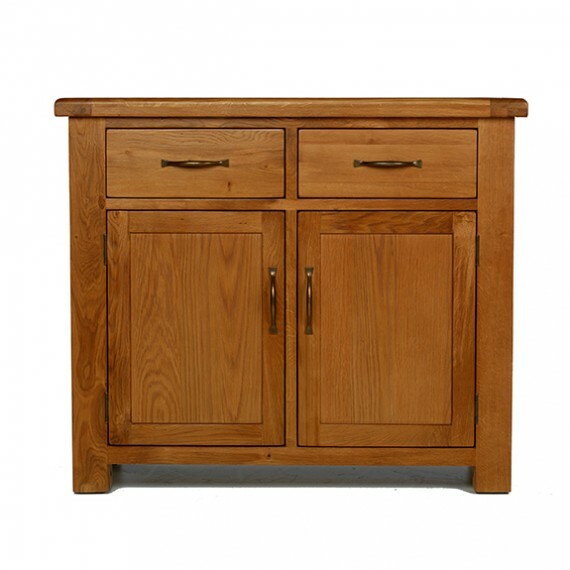 And it will help you stay clutter-free as its two dovetailed drawers and spacious cupboard with removable shelf will swallow up plenty of stuff. 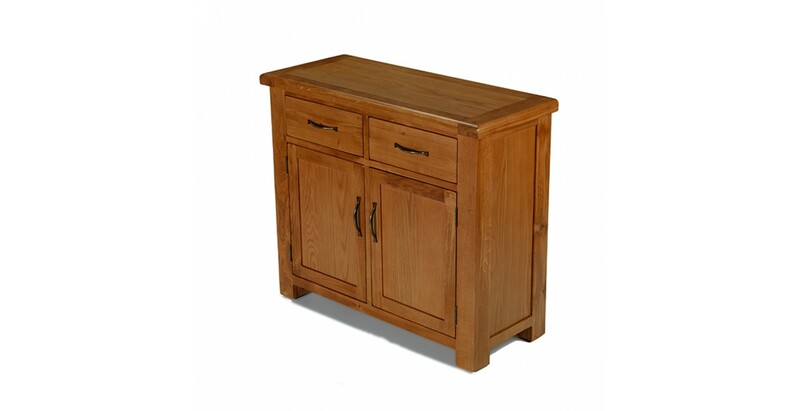 With your things neatly stored, you can step back and appreciate the richly grained finish courtesy of the wax lacquer that's been applied. 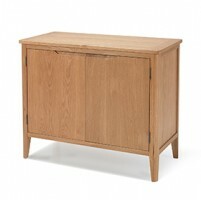 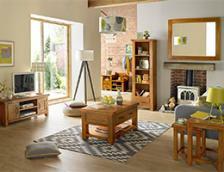 You can run your fingers along the chunky top with rounded-off corners to get to grips with its reassuring solidity. 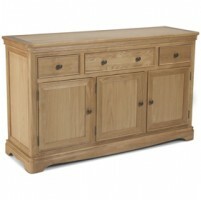 And you can rest easy knowing that it will be in business for years to come as its timeless charms will never date.